PeapodLife: Surprise! Sugar Ain’t Good For You! World Health Organization takes its foot out of its mouth and puts it firmly down. Surprise! Sugar Ain’t Good For You! World Health Organization takes its foot out of its mouth and puts it firmly down. Video: CBC.ca Reducing sugar intake The World Health Organization says we should reduce our sugar intake by two-thirds, to about six teaspoons a day. "Sugar might become the new tobacco in terms of risk"
The World Health Organization (WHO) has had an epiphany. Hold onto your hats: sugar is bad for you. Did we just blow your mind!? Chances are, not really. What has taken so long for the WHO to come around and reflect what is far and away the consensus among nutrition and healthcare professionals is simple: industry pressure. 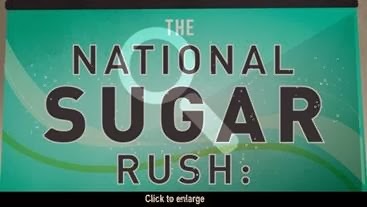 The WHO has made statements about sugar consumption in the past, but they have stopped short of changing the maximum recommended intake of sugar because the processed food industry—and the sugar growers which fuel it—gave such tremendous pushback. So How ‘toxic’ is sugar? Research suggests links to deadly diseases but some doctors and food industry representative are skeptical. Surprise, surprise. There seems to be a tremendous amount of research and scientific evidence, but the industry will likely NEVER agree with the science. Exactly how the tobacco industry dragged its heels for decades in the face of hard science and countless illnesses and deaths at the hands of their product. We too often search for quick fixes, intense pleasures, instant gratification, all of which are actually filling some deep subconscious emotional/psychological void in our lives. 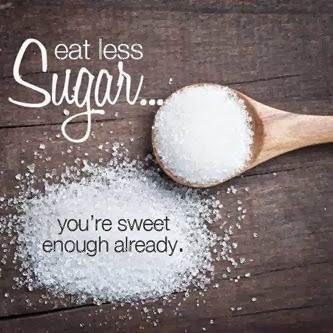 But we all know sugary foods have little to no value. According to the WHO’s recent statement, sugar is 10 times more addictive than cocaine. When we look at all the hidden sources of sugar, it turns out that the average Canadian consumes about 40kg (or 20 bags) of sugar. That is about 26 teaspoons a day, more than double the new recommendation of 10 teaspoons. PeapodLife believes that part of the problem that we face with all this toxic food we eat, prepared by an industry built on exploitation, consumed in houses that are toxic indoor environments, is that it all fits together. Why would we expect part of “the big machine” to produce anything different than how the rest of the machine works? Healing our environment is one proactive step we can take today to break the cycle of toxicity, junk, exploitation. Installing a vibrant, living rainforest ecosystem in our homes, workplaces and schools fills our lungs with purity, our hearts with beauty, our bodies with vitality, and our minds with clarity. There is no way we can stomach toxic foods when we live in an ecosystem. Our relationship with the orchids, moss, bromeliads, and countless other organisms forbids it. Our responsibility as active members of the ecosystem demands we uphold our place in the order of things. Exploitation and toxicity have no place in a high-order rainforest ecosystem, any more than they have a place in our lives, our diets, society as a whole and the wider environment of the planet. 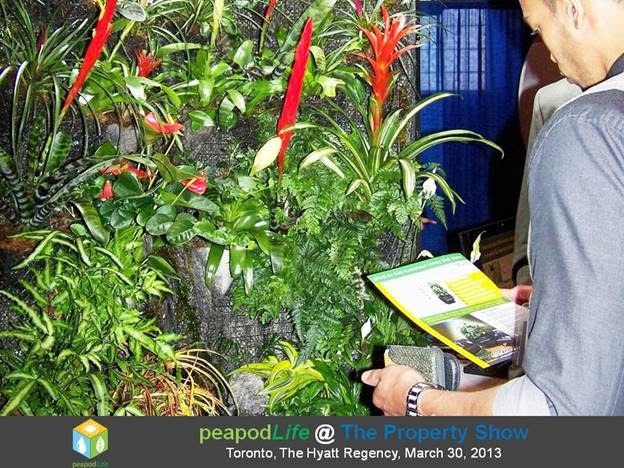 Image: A real estate investor gets up close and personal with PeapodLife’s Angolo model at The Property Show.